This Week in the Citizen-Herald reports on the four-way stop to be installed at the intersection of Marsh and Winter Streets and two additional four way stops to be installed at the intersections of Dean and Sherman Streets and Dean Street and Waterhouse Road. The underpass tunnel connecting Alexander and Concord Avenues may become reality soon after 25 years in the making. The Selectmen approved an off-cycle funding request of $400,000 to the Community Preservation Committee for the design of the .18 mile section of the community path which includes the underpass. Belmontonian reports on sidewalk repairs and the Open Meeting Law training. Beaver Brook Playground and Spray Deck reopens after extensive renovation. 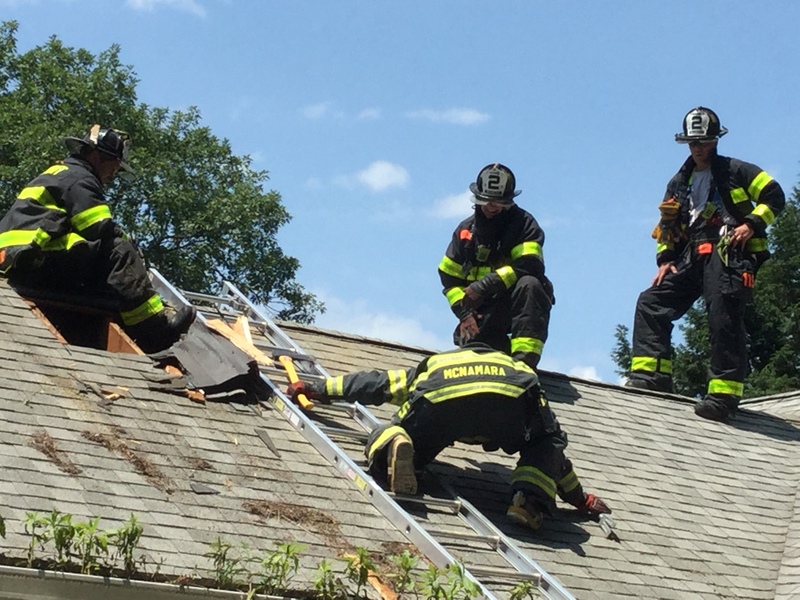 Belmont firefighters train on a house to be demolished. Meet Belmont Light's new general manager and find out about the major project they are working on which will help Belmont meet its Climate Action Plan goals.